Low or dead car batteries are never fun. Hearing the engine keep turning over and over can be stressful, especially when you're in a hurry to get to work or to just get out of that sketchy gas station parking lot late at night. That's why, here at Parks Hyundai of Gainesville, we encourage our customers to buy the batteries we have in our inventory that come with warranties and guaranteed quality. But what are the perks of these batteries over more generic brands? Keep reading to learn more. When the weather gets colder, your engine needs more battery power to start up. Your average, run-of-the-mill replacement battery often won't provide the power necessary to do this, while a name-brand battery often will. Modern vehicles tend to use up batteries even when they're turned off because of technology like security systems. Although these systems don't drain the battery by much, they can wear down an already weak battery when left parked for an extended period of time. A name-brand battery often handles drain better than a generic one would. 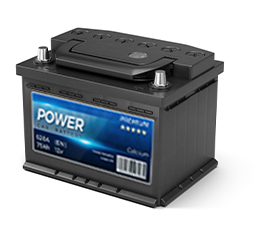 Because name-brand batteries often come with warranties, you can expect them to get you from point A to point B more often than a generic battery would. You'll deal with fewer late nights stuck at the gas station and more time out on the road, not even worried about your battery. If you’d like to purchase a Hyundai-certified battery in Gainesville, FL, drop by Parks Hyundai of Gainesville at 3111 North Main St., Gainesville, FL 32609 or schedule your service online. We look forward to serving our customers from Alachua, Starke, Ocala and Lake City!